Please read this agreement carefully. It governs your use of the Linen Chest Web Site and the services and goods provided through the web site (collectively the 'Web Site'). It exempts Linen Chest and other persons from liability or limits their liability and contains other important provisions that you should read. Each time you use the Web Site you acknowledge and signify that you have read, understood, and agreed to be bound by this agreement. If you do not agree with each provision of this agreement each time you use the Web Site, you may not use the Web Site. Each time you use the Web Site, the text of this agreement as it then reads will govern your use. Accordingly, when you use the Web Site you should check the date of this agreement and review any changes since the last version. This is an agreement between you and Linen Chest, and governs your use of the Web Site and its content and the services and goods provided through the Web Site. Each time you use the Web Site you signify your acceptance and agreement, and the acceptance and agreement of any person you purport to represent (and for purposes of this Agreement, «person» includes any type of incorporated or unincorporated entity), without limitation or qualification, to be bound by this Agreement, and you represent and warrant that you have the legal authority to agree to and accept this Agreement on behalf of yourself and any person you purport to represent. If you do not agree with each provision of this Agreement, or you are not authorized to agree to and accept this Agreement, or you do not have the legal authority to agree to and accept this Agreement, you may not use the Web Site. You may not change, supplement, or amend this Agreement in any manner. Linen Chest may, in its sole discretion, change, and supplement or amend this Agreement as it relates to your future use of the Web Site from time to time, for any reason, and without any notice or liability to you or any other person, by posting a revised Agreement on the Web Site. If you breach any provision of this Agreement, you may no longer use the Web Site. Linen Chest may at any time and for any reason, with or without cause, and in its sole discretion, immediately suspend or terminate (in whole or in part) your permission to use the Web Site and your user password, all without any notice or liability to you or any other person. If this Agreement or your permission to use the Web Site is terminated by you or Linen Chest for any reason, this Agreement will nevertheless continue to apply and be binding upon you in respect of your prior use of the Web Site and your purchases of goods and services through the Web Site and anything connected with, relating to or arising from those matters. All transactions through the Web Site, including the purchase and sale of goods and services and the licensing of software, are governed by this Agreement and any applicable Transaction Agreement. By using the Web Site or by participating in a transaction through the Web Site, you signify your agreement and acceptance of this Agreement and, if applicable, the Transaction Agreement. Linen Chest may cause software to be available for you to download from the Web Site or through other Web sites, including Web sites operated by Providers. The software is protected by copyright, and your downloading and use of the software are governed by the applicable Transaction Agreement and the Software License Agreement specific to the software. By downloading software, you signify your agreement and acceptance of the applicable Transaction Agreement and Software License Agreement. The Web Site may be used by persons residing in Canada who have reached the age of majority or legal age in their jurisdictions and who can form legally binding contracts under applicable law. The Web Site may not be used by persons in jurisdictions where access to or use of the Web Site or any part of it may be illegal or prohibited. It is solely your responsibility to determine whether your use of the Web Site is lawful, and you must comply with all applicable laws. The Web Site and all information (in text, graphical, video and audio forms), images, icons, software, design, applications and other elements available on or through the Web Site are the property of Linen Chest, its Providers and others, and are protected by Canadian and international copyright, trade-mark, and other laws. Your use of the Web Site does not transfer to you any ownership or other rights in the Web Site or its content. You may only use the Web Site in the manner described specifically in this Agreement. The Web Site may not be used for any purpose not expressly permitted by this Agreement. In particular, except as expressly stated otherwise in this Agreement, the Web Site may not be copied, imitated, reproduced, republished, uploaded, posted, transmitted, modified, indexed, catalogued, or distributed in any way, in whole or in part, without the express prior written consent of Linen Chest. You may not use any of the software that is used in the operation of the Web Site except while you are using the Web Site. You may not reproduce, copy, duplicate, sell, or resell any part of the Web Site (including the software used in the operation of the Web Site) or access to the Web Site. The Web Site is made available to you for your lawful use only. You may access and browse the Web Site using commercially available, SSL-capable Web browser software. You may print or download the pages of the Web Site for your personal use provided that you do not modify any of the Web Site pages or other content and you do not remove or alter any visible or non-visible identification, marks, notices, or disclaimers. 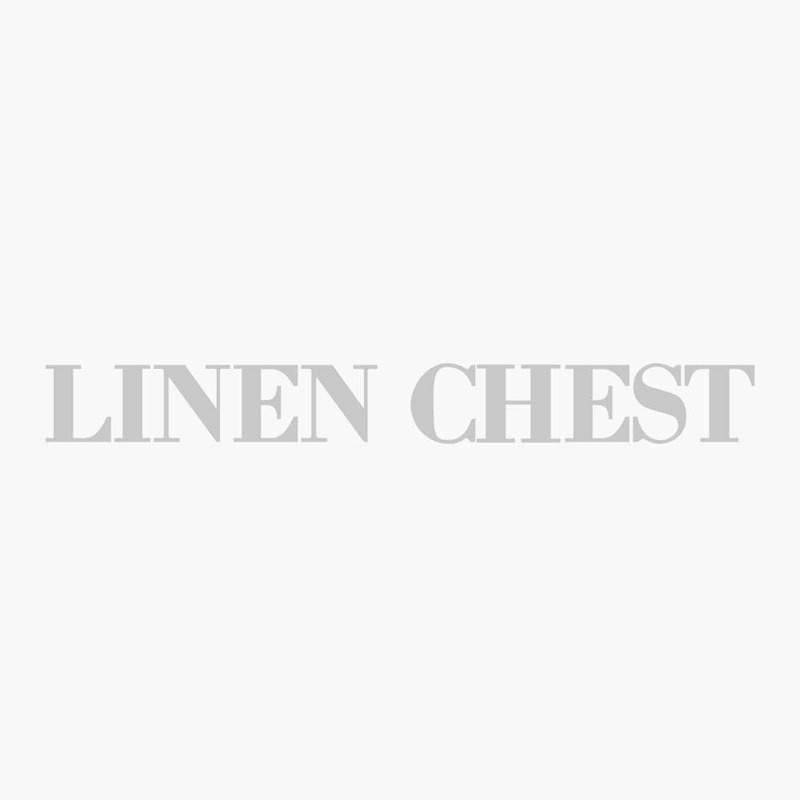 The LINEN CHEST logo and other Linen Chest owned trademarks appearing on the Web Site are registered and unregistered trademarks and trade names owned by Linen Chest. Other product and company names and logos appearing on the Web Site may be registered or unregistered trade names, trademarks and service marks of their respective owners. Any use of the trade names, trademarks, service-marks and logos (collectively 'Marks') displayed on the Web Site, except as expressly provided in this Agreement, is strictly prohibited. Nothing appearing on the Web Site or elsewhere shall be construed as granting, by implication, estoppels, or otherwise, any license or right to use any Marks displayed on the Web Site. Your use of the Web Site is at your own risk. The Web Site is provided on an ‘as is’ and ‘as available’ basis, and without any representations, warranties or conditions of any kind, whether express or implied, and including without limitation implied warranties of merchantability, fitness for a particular purpose, performance or durability, all of which are hereby disclaimed by Linen Chest and the providers to the fullest extent permitted by law. The operation of the Web Site may be affected by numerous factors beyond Linen Chest’s control. The operation of the web site may not by continuous or uninterrupted on secure, security and privacy risks cannot be eliminated. Linen Chest is under no obligations to verify the identity of users of the Web Site. Through your use of the Web Site, you may have the opportunity to engage in commercial transaction with other persons. All such transactions are at your own risk. Linen Chest is not a party to any such transactions and disclaims any and all liability regarding all such transactions. •The use of the Web Site will not infringe the rights (including intellectual property rights) of any person, and Linen Chest and its providers disclaim any and all liability regarding such matters to the fullest extent permitted by law. Linen Chest and its providers will not under any circumstances be liable to you or any other person for any loss of use, loss of production, loss of income or profit (anticipated or otherwise), loss of markets, economic loss, special, indirect or consequential loss or damage or punitive damage, whether in contact, tort or under any other theory of lay or equity, arising from, connected with, or relating to the used the Web Site by you or any other person, and regardless of any negligence or other fault or wrongdoing by Linen Chest or any provider or any person for whom Linen Chest or its providers are responsible, and notwithstanding that Linen Chest or its providers may have been advised of the possibility of such loss or damages being incurred by you or any other person. In no event will Linen Chest’s, or any of its provider’s, total liability to you or any other person for any claims, proceedings, liabilities, obligations, damages, losses, and costs, whether in contact, tort or under any other theory of law or equity, and regardless of any negligence or other fault or wrongdoing by Linen Chest or any person for whom Linen Chest is responsible, exceed $25 (CDN) or the amount you paid to Linen Chest for the use of the Web Site whichever is less. You hereby release, remise and forever discharge each of Linen Chest and its provider and all of their respective agents, directors, officers, employees, information providers, service providers, suppliers, licensors and licensees and all other related, associated, or connected persons from any and all manner of rights, claims, complaints, demands, causes of action, proceedings, liabilities, obligations, legal fees, costs, and disbursements of any nature and king whatsoever and however arising, whether known or unknown, which now or hereafter exist, which arise from, relate to, or are connected with your use of the Web Site. You agree to indemnify, defend and hold harmless each of Linen Chest and its providers and all of their respective agents, directors, officers, employees, information providers, service providers, suppliers, licensors and licensees, and all other related, associated, or connected persons (collectively, the “indemnified parties”) from and against any and all liabilities, expenses and costs, including without limitation reasonable legal fees and expenses, incurred by the indemnified parties in connection with any claim or demand arising out of, related to or connected with your use of the Web Site or you breach of this agreement, you will assist and co-operate as fully as reasonable required by the indemnified parties in the defense of any such claim or demand. Advice and information provided by Linen Chest or its representatives, whether oral or written, will not create any representation, warranty or condition or vary or amend this agreement, including the above disclaimer, liability exclusion, liability limitation, release and indemnity provisions, and you may not rely upon any such advice or information. The exclusion of certain warranties and the limitation of certain liabilities are prohibited by legislation in some jurisdictions. Such legislative limitations may apply to you. The disclaimer, liability exclusion, liability limitation, release, and indemnity provisions in this Agreement survive indefinitely after the termination of this Agreement. Linen Chest endeavours to provide current and accurate information on the Web Site. Nevertheless, misprints or other errors may occur. Accordingly, Linen Chest reserves the right to change the prices, fees and charges regarding the goods and services available through the Web Site at any time and from time to time without any notice or liability to you or any other person. Also, Linen Chest cannot guarantee that goods or services advertised on the Web Site will be available when ordered or thereafter. Linen Chest also reserves the right at any time to reject, correct, cancel or terminate any order for any reason whatsoever. If you order goods or services for which the price was incorrectly displayed, Linen Chest will provide you with an opportunity to place an order at the correct price. If you order goods or services that are not available, Linen Chest will notify you by email. Linen Chest reserves the right to limit quantities sold. The advertisements on the Web Site are invitations for purchase orders, and are not offers to sell. Your properly completed and delivered order form constitutes your offer to purchase the goods or services referenced in your order. Your order shall be deemed to be accepted only if and when Linen Chest sends both an order acceptance and shipment notice email to your email address. The order acceptance and shipment notice email constitutes Linen Chest‘s acceptance of your order. If you wish to cancel an order, you may request a cancellation by contacting Customer Service at (800) 363-3832. However, Linen Chest may not receive and process your cancellation request before it accepts and processes your order, in which case your cancellation request may not be effective. Linen Chest attempts to display the colours of the product shown on this Internet Site as accurately as possible. Otherwise, we cannot guarantee that the colour you see is exactly the product colour, as the display of colour depends, in part, upon the type of computer monitor used by you. Links to the Web Site without the express written permission of Linen Chest are strictly prohibited. To request permission to link to the Web Site, please contact info@linenchest.com. Linen Chest reserves the right to cancel and revoke any permission it may give to link to the Web Site at any time, for any reason, without any notice, and without any liability to you or any other person. The framing of the Web Site or any of its content in any form and by any method is strictly prohibited. The Web Site may include advertisements for, and links to, other web sites or resources and businesses operated by other persons ('Other Sites'). Other Sites are independent from Linen Chest, and Linen Chest has no responsibility or liability for or control over Other Sites, their business, goods, services, or content. Links to Other Sites are provided solely for your convenience. Linen Chest does not sponsor or endorse any Other Sites or their content or the goods or services available through those other Web Sites. Your use of Other Sites and your dealings with the owners or operators of Other Sites is at your own risk, and you shall not make any claim against Linen Chest arising out of your use of any Other Sites or your dealings with the owners or operators of any Other Sites. As between you and Linen Chest, the provisions of this Agreement under the section headed Disclaimer, Liability Exclusion, Liability Limitation, Release and Indemnity apply, with all necessary modifications, to your access to and use of any Other Sites and their business, goods, services, and content. If any provision of this Agreement is found to be unlawful, void, or for any reason unenforceable, then that provision shall be deemed to be severed from the rest of this Agreement and shall not affect the validity and enforceability of any remaining provisions. The provisions of this Agreement will ensure to the benefit of and be binding upon each of Linen Chest and its Providers and each of their respective successors and assigns and related persons, and you and your heirs, executors, administrators, successors, permitted assigns, and personal representatives. You may not assign this Agreement or your rights and obligations under this Agreement without the express prior written consent of Linen Chest, which may be withheld in Linen Chest’s sole discretion. Linen Chest may assign this Agreement and its rights and obligations under this agreement without your consent. You and Linen Chest are independent contractors and no agency, partnership, joint venture, employment or franchise relationship is intended or created by this Agreement or your use of the Web Site. The parties have expressly requested and required that this Agreement and all other related documents be drawn up in the English language. Any rights not expressly granted by this Agreement are reserved to Linen Chest. All information you provide through the Web Site, including registration information (name and email address), payment information (credit card numbers and expiration dates), and transaction-related information, must be true, accurate, current and complete. You must also provide Linen Chest with updated registration information and payment information within 30 days of any changes. Linen Chest will rely on the information you provide. You will be solely responsible and liable for any and all loss, damage, and additional costs that you, Linen Chest or any other person may incur as a result of your submission of any false, incorrect or incomplete information or your failure to update your registration information and payment information within 30 days of any change. Linen Chest may require a copy of a government-issued form of identification before making any changes to your registration information. Web Site accounts may be accessed only by use of a unique login name and password. The use of a password does not restrict access by Linen Chest and its Providers to the password-protected information. Login names and passwords may not be shared. For security reasons, you must keep your login name and password confidential and not disclose them to any person or permit any other person to use them, except an authorized Linen Chest representative. Also, passwords must be non-obvious, hard-to-guess, confidential and changed on a regular basis, and you must log-out at the end of each session. You must immediately notify Linen Chest of any unauthorized use of your login name or password, or if you know or suspect that your login name or password has been lost or stolen, has become known to any other person, or has been otherwise compromised. All login names and passwords remain the property of Linen Chest, and may be cancelled or suspended at any time by Linen Chest without any notice or liability to you or any other person. Linen Chest is not under any obligation to verify the actual identity or authority of the user of any login name or password. You must respond promptly to all email and other correspondence from Linen Chest, including without limitation email and correspondence concerning complaints or concerns regarding your use of your login name or password or your use of the Web Site. The Web Site is for convenience and informational purposes only, the Web Site is not intended to be a comprehensive or details statement concerning the matters addressed; advice or recommendation; or an offer to sell or buy any product or service. You should seek professional advice and recommendations before acting or omitting to act based upon any information provided on or thought the Web Site. You may not use technologies such as 'Gooey' Or 'Third Voice' in connection with your use of the Web Site or to post comments, communications, or any other data of any kind to or on the Web Site with the intention that such postings may be viewed by other users of the Web Site. Linen Chest does not accept or consider unsolicited ideas, including ideas for new advertising campaigns, new promotions, new or improved goods, services or technologies, product enhancements, processes, materials, marketing plans, or new product names. The purpose of this policy is to avoid potential misunderstandings or disputes. Accordingly, please do not send any unsolicited ideas, suggestions or other materials ('Submissions') to Linen Chest or the Web Site. If you send Submissions to Linen Chest or the Web Site you automatically grant (or warrant that the owner of the Submissions grants) to Linen Chest and its assigns a perpetual, royalty-free, irrevocable, unrestricted, non-exclusive, world-wide, assignable, sub-licensable, right and license to use, copy, reproduce, modify, adapt, publish, translate, create derivative works from, distribute, perform, display and otherwise exploit the Submissions or any ideas, concepts, know-how or techniques associated with the Submissions for any purpose whatsoever, commercial or otherwise, using any form, media or technology now known or later developed, without providing compensation to you or any other person, without any liability whatsoever, and free from any obligation of confidence or other duties on the part of Linen Chest or its assigns, and you agree, represent and warrant that all moral rights in the Submissions are waived in favor of Linen Chest and its assigns. The Web Site is controlled by Linen Chest from Laval, Quebec. This Agreement, your use of the Web Site, and all related matters are governed solely by the laws of the Province of Quebec, Canada and applicable federal laws of Canada, excluding any rules of private international law or the conflict of laws, which would lead to the application of any other laws. Any dispute between Linen Chest and you or any other person arising from, connected with or relating to the Web Site, this Agreement or any related matters must be resolved before the Courts of Quebec and you hereby irrevocably submit and attorn to the original and exclusive jurisdiction of those Courts in respect of any such dispute or matter. Any claim or cause of action you may have arising from, connected with, or relating to your use of the Web Site, this Agreement, or any related matters must be commenced in a court of competent jurisdiction in the Province of Quebec, Canada within six (6) months after the claim or cause of action arises, after which time the claim or cause of action is forever barred, regardless of any statute or law to the contrary. From time to time Linen Chest may make contests available to users of the Web Site and others. All contests are governed by this Agreement and the applicable Contest Rules. By participating in a contest through the Web Site, you signify your agreement and acceptance of this Agreement and the applicable Contest Rules.